Our membership is passionate about the many non-profits serving our local community. On a quarterly basis, TEMPO Waukesha's Community Impact Committee chooses and introduces a non-profit to members at monthly luncheons. At each luncheon, members have the opportunity to hear about and/or support the highlighted organization. 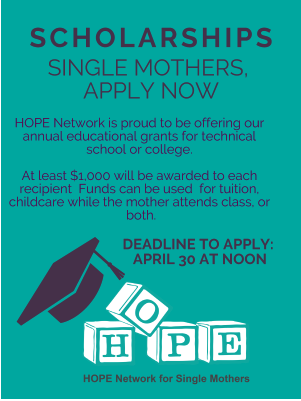 Hope Network for Single Mothers. Shop at Amazon and earn money for HOPE Network!